This is the easiest and most fun way to serve hot chocolate. El submarino is an Argentinian treat -- a mug of hot milk with a thick rectangle of dark chocolate served alongside. The chocolate is the submarine, and you sink it into the hot milk. 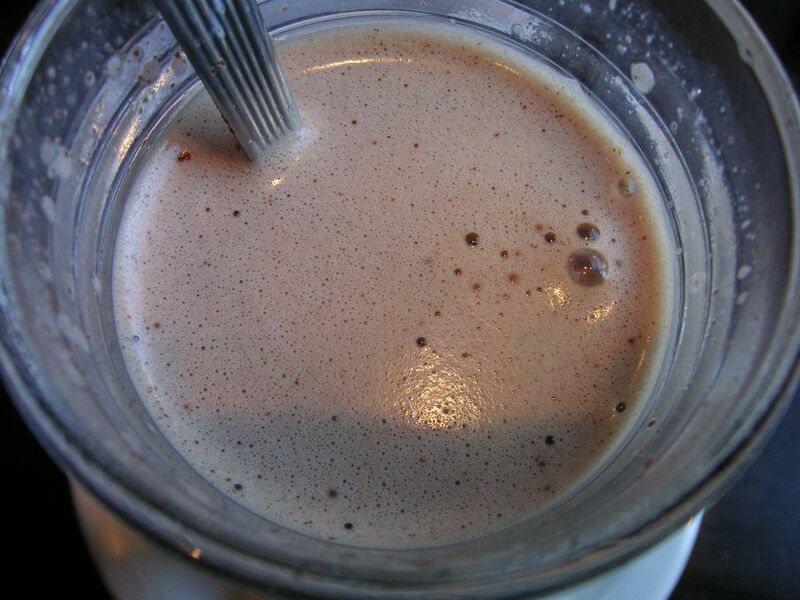 As you stir, the milk becomes hot chocolate, and if you do it right, a nice treat of melted chocolate sludge waits for you at the bottom of the cup. Kids love to do this. A simple but great way to make this warming winter drink. Pour the milk into a saucepan. Stir in the sugar and vanilla. Heat the milk slowly over low heat until it is just about to boil. Do not let it boil. Remove from the heat and divide the milk into 4 mugs. Serve each mug with a piece of the chocolate. Mix up a big pot of sweetened milk, per this recipe, and have on hand bunches of dark chocolate pieces so you can make as many servings as you want, whether it's just the two of you or the whole family.